The Next Generation Legal Pro-Bono Training & Networking Event was held in Ho Chi Minh City, Vietnam with the theme “Connect, Aspire & Reshape” on December 15. Co-organized by Novartis in partnership with prestigious local and international law firms, the pilot event was designed to foster connections within the legal community in the region, including local and international law firms, as well as in-house legal teams. It aspired to provide impactful and valuable training through educational legal sessions with some focus on the pharma/life sciences industry. The event also served as a venue to share knowledge and experiences to help lawyers achieve professional excellence. 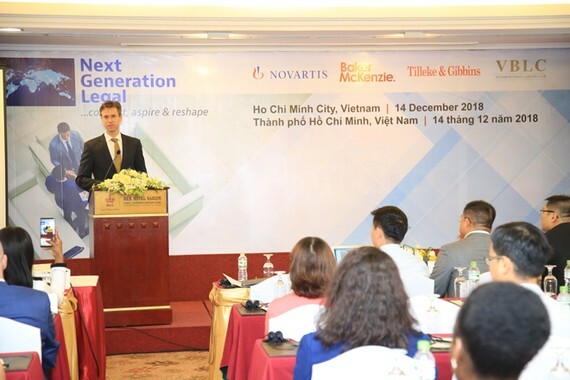 “Through the Next Generation Legal Pro-Bono Training & Networking Event, Novartis aims to develop the next generation of legal experts by stimulating dialogue and learning on important business and legal topics among lawyers,” according to John Kuckelman, General Counsel & Head of Legal (Asia Pacific, Middle East and Africa – APMA Region). A total of 80 Vietnamese lawyers attended the Next Generation Legal Pro-Bono Training & Networking Event and earned continuing legal education (CLE) credits. 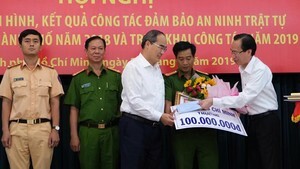 One of the speakers in the event was Dr. Nguyen Huu Huyen, Acting Director of the International Cooperation Department under Vietnam’s Ministry of Justice.